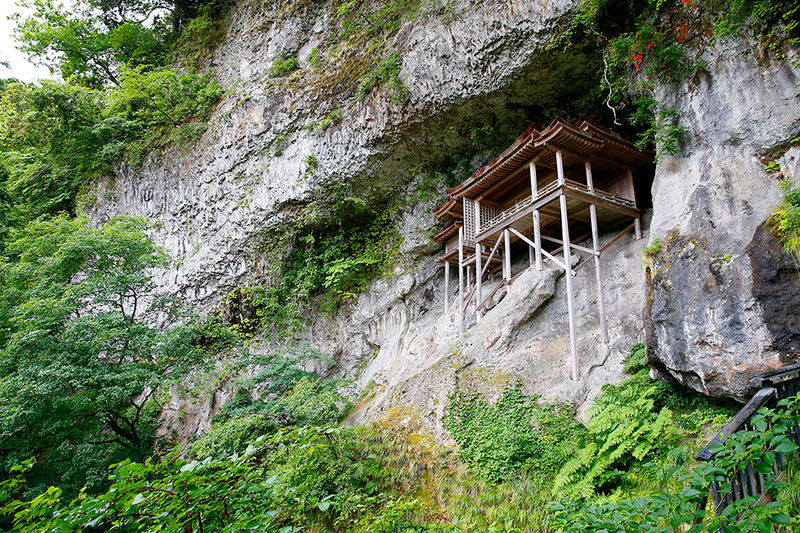 This is a mountain temple with grounds on Mt. Mitoku at an altitude of 900 meters. 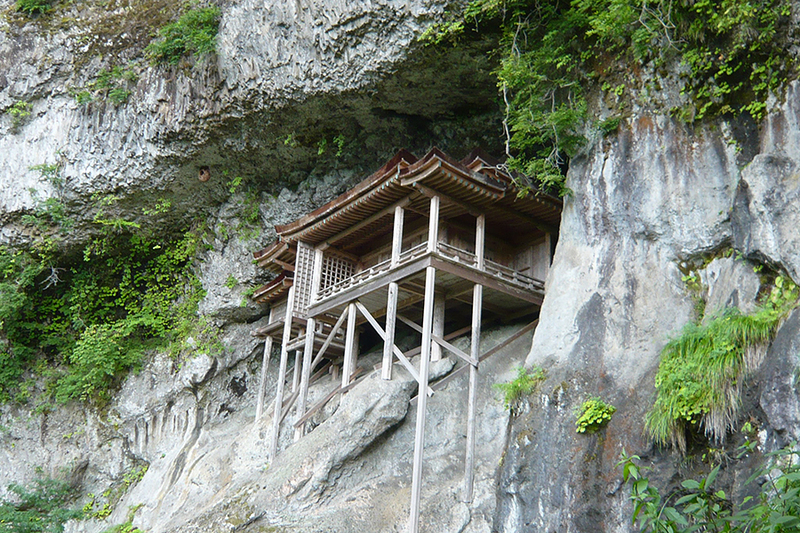 There is a legend that Nageire Hall (the inner temple) was thrown down the mountain by En no Gyoja – the founder of Shugendo (Japanese mountain asceticism). This is a building unlike any other that has been built in a hollow on a steep precipice at a vertical. This has led to the building being listed as a national treasure. 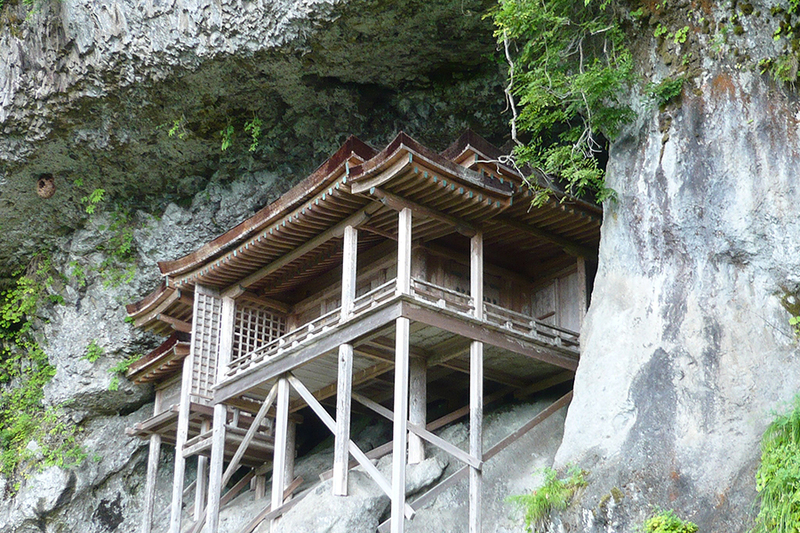 In addition, this temple was also listed as Japanese heritage together with Misasa Hot Spring as the “most dangerous national treasure to see in Japan and one of the world’s leading radon hot springs” in 2015. This is also an excellent building in terms of architectural beauty with a gently curved roof and a structure of pillars that support the hall.